Journey with Frank Camorra through sun-drenched Andalusia: a landscape of ancient cities, white villages nestled into steep mountains, and plains planted with olive groves and vineyards. Take in colourful spring festivals and lively markets, then venture into the rugged high sierras and the stone-lined bodegas of the sherry triangle. At the southern edge of Europe, this is a place where cultures and cuisines mingle. Seafood abounds in the rich waters off the Atlantic Coast, while in the oak-covered mountains, Iberico pigs graze on acorns to produce the finest jamon, and game is plentiful. Vegetables are harvested from ancient gardens irrigated by channels built by the Arabs, who also left a legacy of Moorish spices and sweet treats. Returning to his family's home region, along the way Frank gathers authentic recipes from food and wine producers, chefs, cooks and housewives. From an olive picker's breakfast and cuttlefish in saffron sauce to the smoky skewers known as pinchitos morunos and drunken monks' cake, MoVida Solera is a celebration of Andalusian food and culture. Frank Camorra is chef and owner of the acclaimed MoVida restaurants in Melbourne and Sydney. Born in Barcelona, he grew up in Australia before a trip to his birthplace in 2000 inspired him to share his love of Spanish food. And so his stable of critically acclaimed and much-loved tapas bars and restaurants was born. Hidden down a gritty and graffiti-ed Melbourne laneway, MoVida was an instant hit, leading to MoVida Next Door and MoVida Aqui. Then came MoVida Sydney, along with venues at Melbourne and Sydney airports. 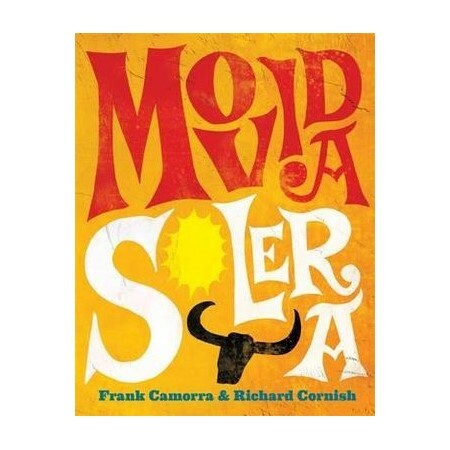 Frank has co-authored four previous books, MoVida, MoVida Rustica, MoVida Cocina and MoVida's Guide to Barcelona.